"Little" Joe really isn't that little and promises to be a big boy when he grows up. He is a fused 4 Horn and I love the strips in the horns. 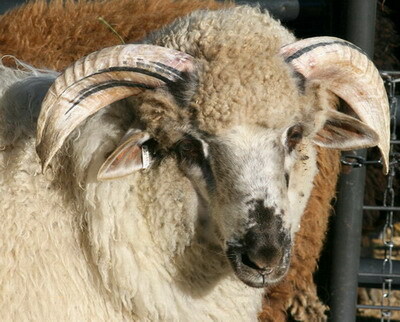 Plan to use him as a herd sire for 2008.